Our dedicated mentorship workshops on the MentorME stage will connect you to the best investors, tech entrepreneurs, so you can enhance your pitch, and learn from leaders in their respective fields to scale your business. The 2018 speaker lineup was packed with veterans within the startup ecosystem such as Coplex, 500 Startups, Badir and Visa. GITEX Future Stars 2018 also had SIX free to attend workshops hosted by corporate and government giants for exhibiting startups, and visiting entrepreneurs alike. Check out the full list of workshops below. The Prince Mohammed bin Salman bin Abdulaziz Foundation “MiSK” is a non-profit foundation devoted to cultivating learning and leadership in youth for the Saudi Arabia of tomorrow. MISK Innovation ran several workshops throughout all four days of GITEX Future Stars covering a wide range of activities from startup pitches, talks featuring the Adviser & Chief of MISK Innovation, and mentorship clinics. For the first time in GITEX Future Stars, Google hosted a series of workshops for entrepreneurs and app developers. The workshops covered the latest digital trends in MENA, Google Ads, Universal App Campaigns, machine learning, and much more. Attendees also got a chance to mingle with product experts and strategists for 1-1 consultations and discussions on their booth. Incubator, accelerator, VC firm, startup friend, all rolled into one. With investments worth 50+ million Saudi Riyals to date, TAQNIA is made its presence felt at GITEX Future Stars 2018 by hosting startups to exhibit, and a Saudi Dedicated Accelerator Day. The programme featured a super-eminent panel comprising Chief Investment Officer of Saudi Aramco Entrepreneurship Ventures LLC, Head of Investments at TAQNIA, Partner at STC Ventures, Head of Innovation in SAGIA, to name a few. Another first time GITEX Future Stars 2018! Microsoft hosted an exclusive workshop dedicated to AI and practical insights on integrating AI capabilities into existing and/or new applications and solutions. Led by Rami Sarieddine, the Senior Technology Evangelist at Microsoft, with 12 years of experience, attendees learned how to accelerate digital transformation of their businesses utilizing AI technology. 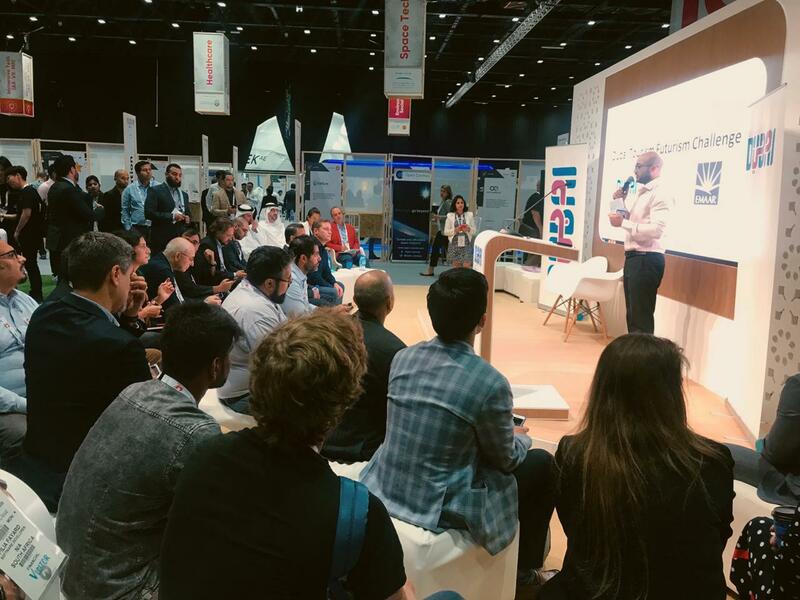 Dubai Technology Entrepreneur Centre (Dtec) and StartupBootcamp hosted an dedicated mentorship clinic on their stand for GITEX Future Stars 2018. Startups and attendees enjoyed one-on-one sessions with a heavy hitting lineup of key industry experts such as Dubai Chamber of Commerce & Industry, Intel and Volkswagen. An emerging 145 square kilometer master-planned city built around delivering happiness to citizens, Dubai South will dive into conversations relating to the impact of VAT on business with Prema Consulting, best business set-up guidelines with Xpert Advisory and why Dubai is the most strategic location to set up business by experts from Dubai South.